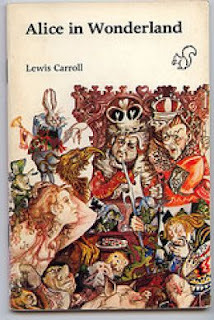 If you like weird stories with mad characters and poems without any logic, then you would love Alice's Adventures in Wonderland and Through the Looking Glass by Lewis Carrol. 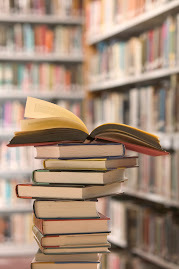 Everybody knows what these books are about, and even has read them already. I'd recommend that you read them again - from the point of view of a relatively grown-up person, not of a child... and you'll be surprised how many imporatnt things are said there. I hope you'll see them and like the book even more. Lewis Carrol shows us the world of a girl the way she sees it using her unlimited imagination. Everything seems nonsense to the reader but that's the point- he shouldn't try to understand it. He should enjoy the book and Alice's adventures and remember the wonderlands and creatures from his childhood. As childish as it may sound, the book I liked the most from all the outside reading books this year was Alice in Wonderland. I've always thought that this was just a kid's book, but it was a lot more. I loved the style of the author and definitely the original ideas. The movie that was recently released was totally awful and it was very different from the book. There is an animated movie from the 1950s, which is very accurate, and if you're wondering whether or not to read the book, you should see it.